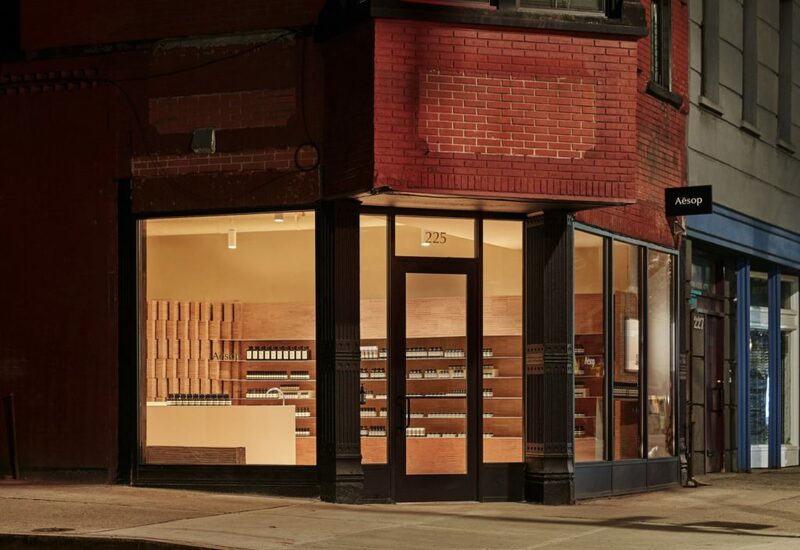 Australian skincare brand Aesop has debuted its latest retail space in the Park Slope section of Brooklyn, N.Y. Iconic Mexican architect Frida Escobedo crafted the store with hundreds of slender bricks to establish a gridded aesthetic conceived by Patricia Medivil, a former student of Escobedo’s. Dezeen reports that the adobe bricks are composed of Oaxacan red earth and created in Escobedo’s Mexico City workshop. 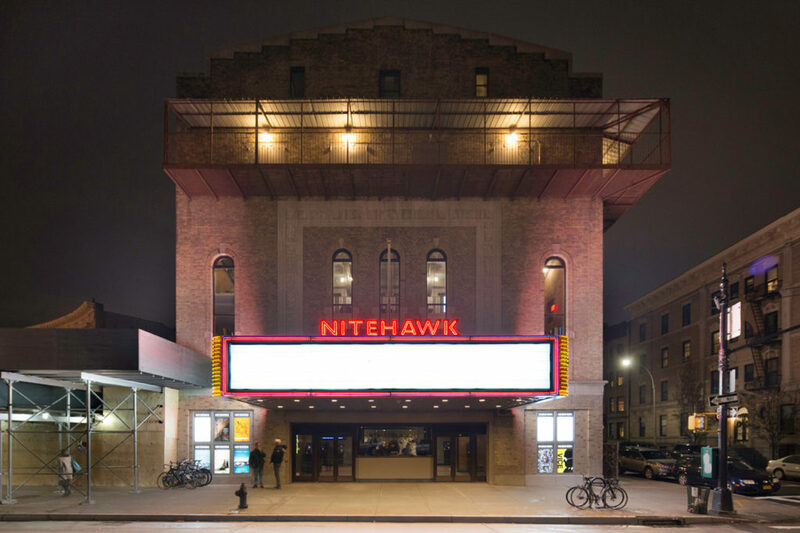 Designed to reference both the neighborhood and Escobedo’s native Mexico, the store greets shoppers with an angled entrance as well as original large glass windows. Existing brick walls are painted white inside beneath the original stamped tin ceilings. The interior layout is enforced by the layered brick walls, while modular pieces divide the entrance from the checkout counter. Two powdercoated metal sinks also are featured. Aesop Park Slope is now the brand’s third store in Brooklyn. The Amsterdam-based luxury custom suitmaker recently signed a 10-year lease for 4,454 square feet on the ground floor of the William Vale hotel. Atmosphere Design Group is the Architectural firm working on the project. Atmosphere Design Group is a full-service architectural firm. The company has been in existence practicing Design and Architecture for almost fifteen years. Atmosphere currently has twenty-five employees with offices in Valhalla, NY and NYC. 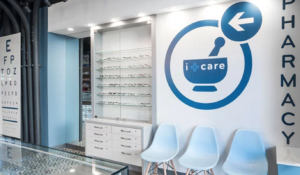 A modern design gives I+care Pharmacy a look all its own—and one that fits right in with its location, the hip Boerum Hill neighborhood of downtown Brooklyn. 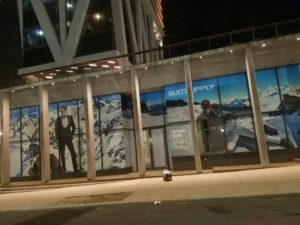 The 37-year-old Japanese lifestyle and fashion company has moved into Williamsburg with a 7,300-square-foot store and big plans for the future. Muji’s U.S. expansion has been slow, but the minimalist brand with a cult-like following plans to double its store base in the next few years.